Laser surgery is becoming increasingly popular and there are several types of treatment available. 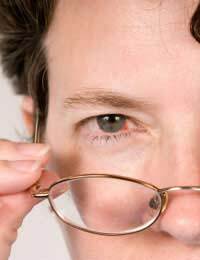 For many people the benefits of permanent sight correction far out way any potential risk. If you are considering having laser treatment it is important to consider all the advantages and disadvantages and decide what is best for you. Laser eye surgery is not always suitable for all people and cannot treat all conditions. There are many alternatives to surgery so you should always discuss other options with the specialist and ensure you are happy with your decision. You should do as much research as you can about the procedures and the specialist you approach before making a decision. Many people who are considering laser surgery believe it will give them perfect eye sight. A lot of people who have had surgery are happy with the result but this will vary according to a person’s expectations. A person’s sight may not be as good as when they wore glasses or contact lenses but it will still be much better so that they do not need to wear glasses all the time. You may find that you will still need to wear glasses. As laser surgery cannot treat presbyopia a condition which means you have difficulty with close up work, so you will still need to use reading glasses if you have this condition. The majority of people who consider having laser eye surgery do so because they do not want to wear glasses or contact lenses. For those who have a very high prescription and need thick lenses, it is beneficial to do away with the need for glasses. Water splashes or steaming up of glasses is a particular problem for some people, such as those who enjoy sailing, so surgery would be a big benefit to their lifestyle. As with any surgical procedure there are risks. The surgery could lead to an infection and the eye and you could develop complications. Eye drops are given in all cases of laser treatment to reduce the risk of infection. The laser surgery is permanent, so if something goes wrong you will have to live with it indefinitely, although having further treatment can improve the visual results. Some complications can be treated. Although having laser surgery itself is not painful there is some discomfort after the procedure. The healing process after surgery can take several weeks. With PRK surgery it can be painful while the top layer of cells re-grow. You may also experience hazy vision after surgery but this should improve over time. With Lasik procedures there is not as much pain after the surgery. However as Lasik is more invasive than PRK procedures there is a greater potential for problems to occur. The flap which is cut before the laser is beamed onto the eye may be incorrectly cut. It could also fail to re-connect to the underlying tissue after the treatment. It is also possible that you could experience problems with poor vision at night. You may see halo effects around bright lights or dryness in the eyes.